We use key performance indicators (KPIs) to measure and drive improvements in the NHS screening programmes. KPIs are a subset of programme pathway standards. They provide a high level overview of the quality of a screening programme at key points in the pathway. 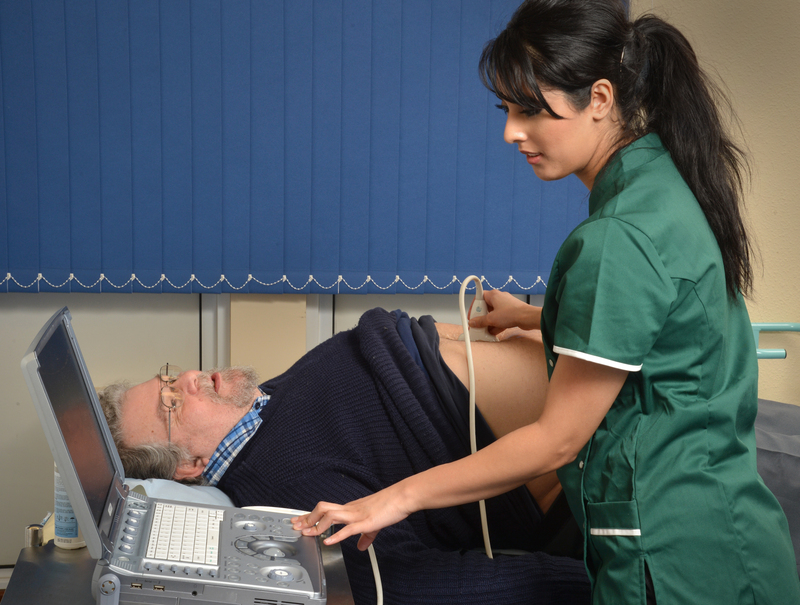 In 2014 to 2015 we introduced completeness of offer as a KPI for the NHS Abdominal Aortic Aneurysm (AAA) Screening Programme following a pilot from April 2013 to March 2014. Completeness of offer measures the proportion of those eligible to be screened who are invited for screening. Of the 41 local AAA programmes, 2 didn’t meet the acceptable threshold, 28 programmes reached the acceptable threshold and 11 reached the achievable threshold of 100%. 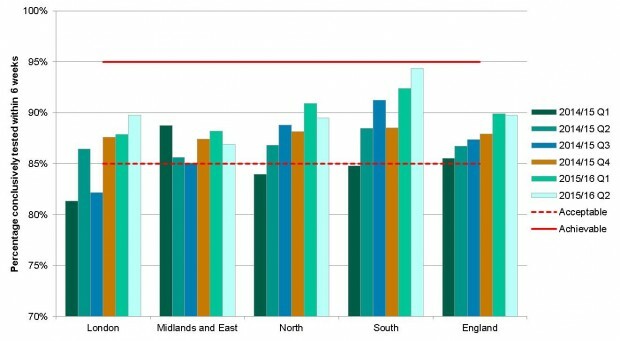 These figures showed that completeness of offer was being well achieved across the country and the KPI was not driving improvements in performance. As a result, we retired this KPI and introduced a KPI for coverage. Coverage is a commonly used public health measure. It measures the number of people screened against the eligible population and therefore gives a population view of who has been screened, rather than just those who have been invited. From April 2013 to March 2014 we piloted a surveillance AAA KPI to measure the timeliness of screening for men with small and medium aneurysms who are recalled for annual or quarterly surveillance scans. However, counting individual men on quarterly surveillance was not robust because if men missed just 1 of 4 appointments it had the same effect as if they had missed all 4. We therefore decided to reframe the surveillance KPI and instead count the number of appointments due, and the percentage attended, within the relevant time frames. Over the past year, we have been piloting the reframed surveillance KPI with all 41 local AAA screening programmes. Each quarter, we sent them the coverage and surveillance timeliness of screening KPIs alongside the existing completeness of offer KPI. We also asked programmes for feedback on the accuracy of the men included and their outcomes. This enabled us to improve the accuracy of the data we extract each quarter. This improvement is demonstrated in the graph below. We have also developed and tested guidance for checking the data with local programmes. This pilot process has allowed programmes to benchmark their performance before the figures are published. We are confident that the reframed surveillance KPI is now fit for purpose. We will continue to monitor and review the KPIs regularly to ensure they drive improvements in performance and remain relevant.